By submitting an application to become a CEC Organizer, you’re accepting this license. You are required by the Circular Economy Club (CEC) to read and understand the following license before submitting your application. When you accept this license, CEC will grant you a limited, non-exclusive, revocable license (the “License”) to use the CEC name, your CEC logo, trademarks, service marks, materials made available for reproduction on the CEC website and the specific event name (the “Event Name”) and local CEC sub-page assigned to your local CEC events (collectively, the “Intellectual Property”) only in connection with the CEC local events you run under this license. Your use of the Intellectual Property must comply with the rules set forth here. The cost of the license for organize CEC local events is $0. CEC is a volunteer endeavour and you may not use your event to make money for yourself. The CEC team will send you a CEC logo specific for your city or organization which would have your city/university/organization name on it. By signing up to the Organizers program, you understand that you will need to use the CEC logo that the CEC team provides you with without altering the logo in any form (altering the logo includes adding new images or letters to it). You will follow the brand guidelines set forth in the CEC Organizers Toolkit. 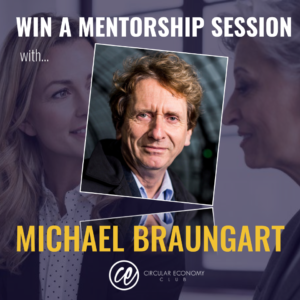 You may use your event to connect the circular economy community and generate pragmatic knowledge. You will share the photos of your events in the CEC online groups right after they take place. If you wish to hold additional CEC Events after a year from your application date, you must submit another application for such events through the CEC Organizers program. (ii) after a year from your application submission date. The CEC Intellectual Property may only be used to promote your CEC local events, and in no event shall you, or any person or entity that organizes, participates in, use the Intellectual Property for any other purpose, including, but not limited to, the sale of books, articles, publications, audio recordings, videos or other media, without the prior written consent of CEC. You may not transfer, sublicense or assign the License and/or your rights to use the Intellectual Property. You should seek advice from CEC on how to use the trademark according to the quality control CEC keeps. CEC may modify, amend, supplement and/or replace the terms and conditions of this License in writing at any time. a) You will be responsible for all resources, equipment, staff, lodging, food, or other materials necessary or required for your local CEC events. CEC will not be responsible or liable for providing you with any resources, personnel or materials except than online resources made available by CEC via email and the CEC website. b) You must have personal medical and/or health insurance coverage while participating in or conducting any physical or athletic activities at your local CEC events. You must maintain sufficient insurance to cover liability for bodily injury, property damage, death, product liability and advertising injury arising out of your activities related to your local CEC events. The policy must contain a limit of liability that is enough for the attendees of your event. You must name Circular Economy Club (CEC) as an additional insured on all applicable insurance policies. c) You agree to assume full responsibility for any and all injuries or damages during your local CEC events, and to indemnify, defend and hold harmless CEC and its volunteers from any liability arising from such injuries and/or damages. The terms of this License Agreement and the rights, obligations and performance of the Parties hereunder shall be governed by the laws of London, without regard to conflict of laws principles. Any controversy or claim arising out of or relating to this Agreement, or the breach thereof, shall be settled by binding arbitration conducted in London. Judgment upon the award rendered by the arbitrator(s) may be entered in any court of competent jurisdiction. You agree that the terms of this License are the entire agreement between you and CEC. By submitting your application for a CEC Organizer license, you are indicating your understanding and acceptance of the terms and conditions of this License and are acknowledging that you accept them. You also commit to follow the guidance of the Organizers Toolkit. If you accept this terms, you can Apply for a license.